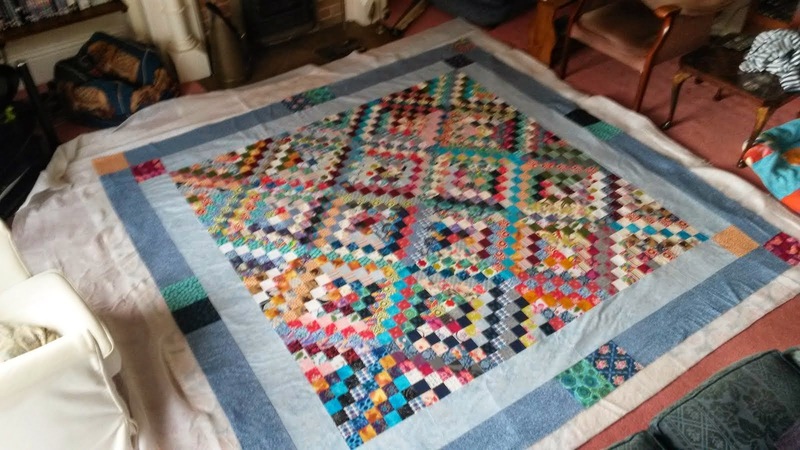 A blog about my quilting, crochet, sewing, soap making, bag making and other crafty adventures, by a craftaholic. 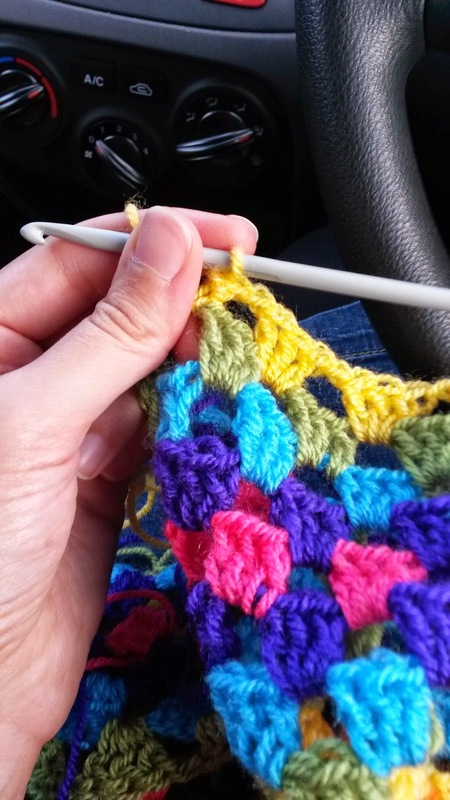 I like to have a crochet project on the go, something simple that I can pick up and put down easily - normally done when I'm stuck in the car for a while with a sleeping child in the back seat. This is my current project - more rainbows! 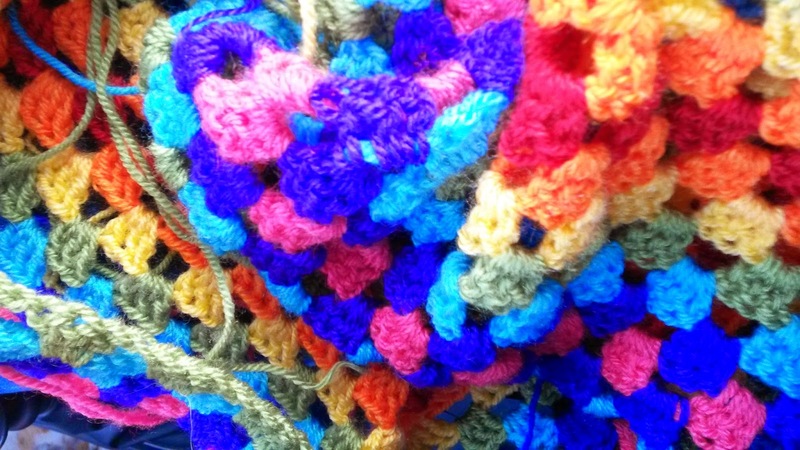 It's basically a giant granny square, with each row a different colour. It's not a true rainbow - the indigo and violet are more like purple and pink, but it's bright and colourful and that'll do. There is going to be a lot of sewing in of ends of threads when I've finished (not my favourite part! ), but it'll be worth it. Linking up to WIP Wednesdays at Freshly Pieced! I am a self confessed craft addict and mum of one adorable munchkin. I mostly craft when said munchkin is sleeping, as the lure of a sewing machine pedal, or a ball of wool, is just too tempting.